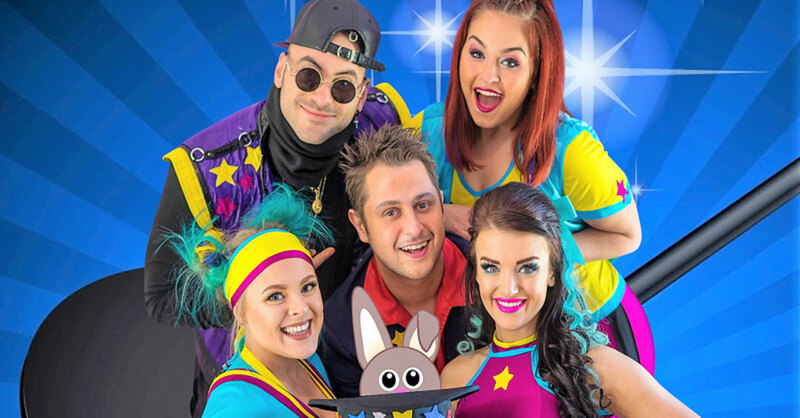 Abrakaboom is a bright, bouncy, singing, dancing, magical show for kids. In this show, the SA Boomstars (nominated for two Australian Independent Music Awards), Josh, Charlotte, Talia, and Elyse, have been invited to The Adelaide Fringe but their car won’t start. 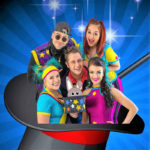 Enter, Mickster The Trickster, aka magician Michael Wilkop. He promises he can help them start the car with a little magic. Much singing, dancing, and audience participation ensues, and then we make it to The Fringe. It seems that there are two gears to this show. In the first act, the performers seem to be a little tentative and anxious but when the troupe re-enters for the second act, to give us their “Adelaide Fringe show”, they hit top gear with polished songs, choreography, and eye-popping magic that Mickster just seems to pull out of a hat, so to speak. Abrakaboom not only hits the right notes for its target audience, but once invited to come to the front and dance at the beginning of the show, most kids stayed there for the whole performance. This reviewer had a nine year old and a seven year old with him. The former liked the magic (and Josh), the latter liked everything. And, judging by the audience interaction, it would seem there is a sweet spot of ages 4-8 who will be bang on target for this troupe. We think if you’ve got kids in that 4-8 age range, they will be leaving with happy feet! And you’ll leave with some head-shaking illusions to ponder! ABRAKABOOM has everything for young and old! Mesmerizing intrigue right from the start with a professional feel with vocals, dance and trickster magic! Amazingly colorful costumes and props. Would be a brilliant TV show! !